How can YOU benefit from receiving an Intuitive Angelic Auric Clearing? How can YOU benefit from an Intuitive Angelic Auric Clearing? *Heal physical ailments swiftly and often instantly. 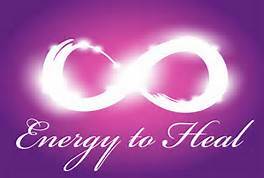 As most illness is truly a misalignment in your energy and emotional body. *You will release negative energies and entities often carried with you from lifetimes. Clear deeply held belief systems and unconscious hard wired cellular memory. As you release the lower vibrational energies and entities you align with higher vibrations and raise your frequency…this makes ALL the difference in your health, happiness and maintaining your alignment. *You will experience quantum shifts in your focus and awareness. Your mind will become clear, calm and centered. Which assists you in channeling higher consciousness more easily and naturally…ALL Great for your abilities to manifest what you truly desire and maintain a calm peaceful clear mind. *After an Intuitive Angelic Auric Clearing You WILL manifest more powerfully and swiftly. As you align and activate your Unity Consciousness You are ONE with Source and have cleared all the lower frequencies that were disrupting your natural flow. Now you are in such a high vibration that your desires will manifest very quickly…When I state that Miracles await you after you receive an Angelic Auric Clearing…I speak truth! You now align and manifest from your higher self, rather than shallow physical wants and needs…As you vibrate from your center and higher self this positive energy will positively affect your life in amazing ways…Are you ready? Let’s set up your first Angelic Auric Clearing and Call those Miracles Forth! I AM Ready for positive Shifts for You and this planet…Question is are you ready to take action? Are You ready to BE the change you desire? Are YOU ready to do YOUR work so YOU will thrive? I am here to assist you and support you as you shift in miraculous ways. *What are you now ready to Call Forth? What are you ready to embody? *What is holding you back from ALL you desire? The Universe Is supporting YOU, The Angels have summoned You to Me…Now what are you waiting for?